This two piece sectional's effortless style is created by details such as its nailhead trim accents and low track arms. Additionally, firm cushions and a clean line design add a contemporary feel to this piece. 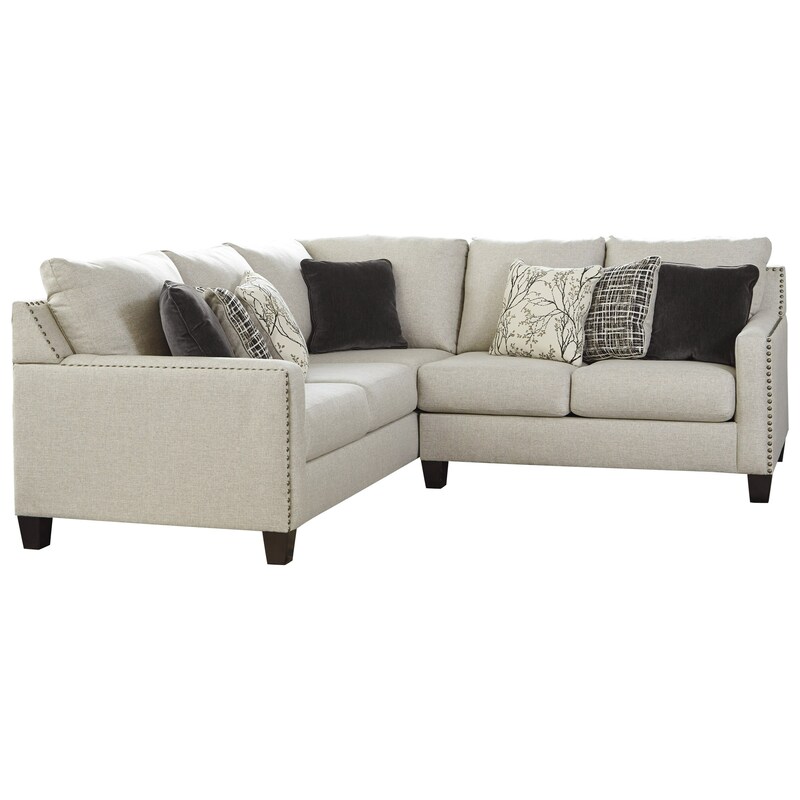 Able to comfortably seat three to four people, this sectional sofa is a great addition to your living room.